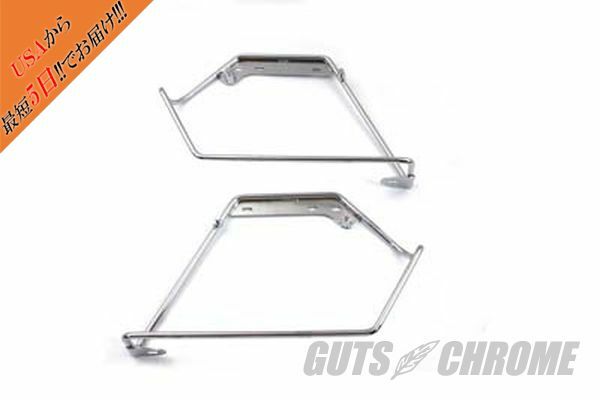 Chrome saddlebag bracket includes right and left and fits fiberglass bags. For use with stock fiberglass saddlebags or leather bertha bags. Order rear cross bracket separately. *Note: UPS may consider this part as packaged "oversize" for shipment, as compared to the actual weight, which will result in higher shipping costs.